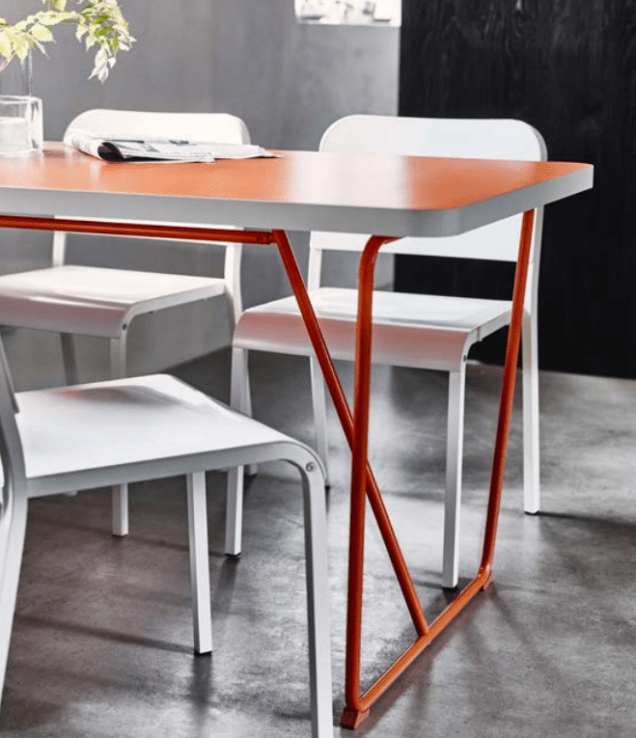 Ikea just announced tons of fantastic new furniture and decor pieces that’ll hit the American market this February. These new collections are unique while maintaining the functional, minimal design aesthetic Ikea is known for, all at those same affordable prices that make the store downright addicting. 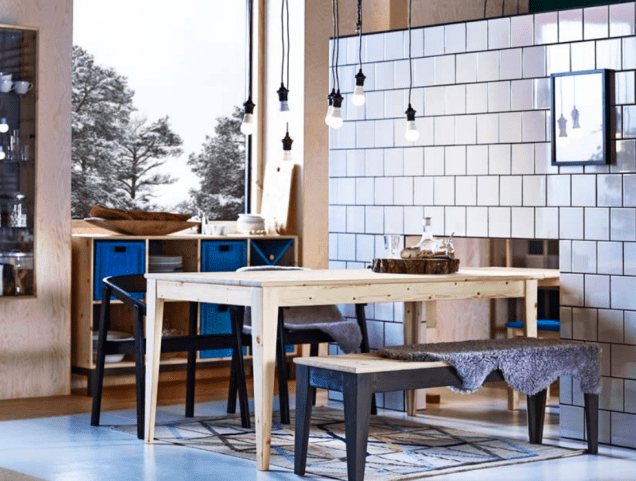 The NÖRNAS collection of home furnishings from Ikea, which is already available in the UK, is constructed of solid pine sourced from Sweden. 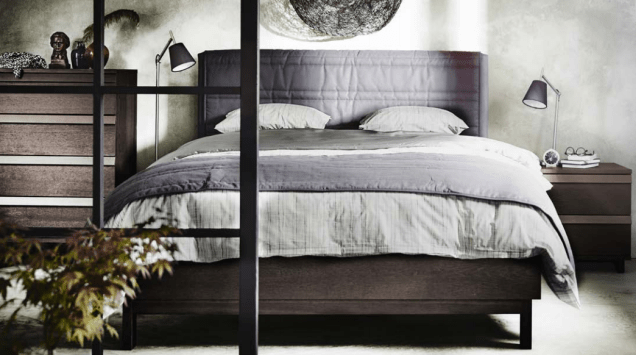 New for 2015: Ikea’s Nornas bed frame. 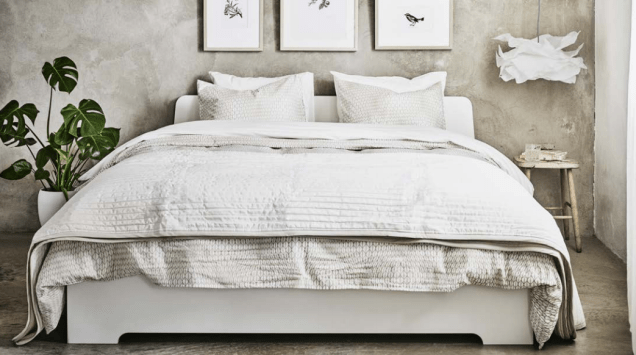 We love this platform bed. Its minimal beauty and solid pine construction has us anxious for February. Leaving the wood as-is would be gorgeous, but we can see the potential for lots of DIY paint projects. This solid pine table is a steal, and the matching bench is $90. It comes untreated, but in this photo they’ve painted the bottom of the bench black. While you’re at it, you can purchase this matching side table which can be used as an extension to the dining table or as a desk or work area. 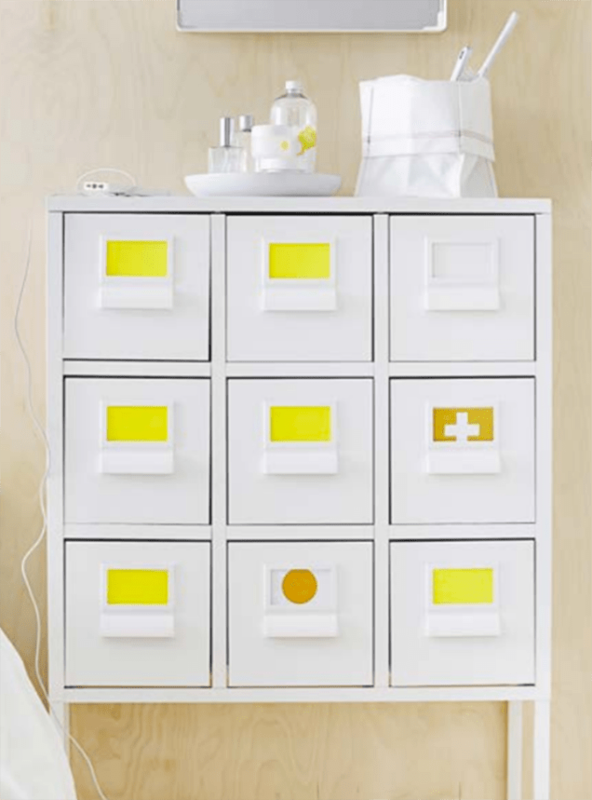 Ikea’s Nornas sideboard provides an alternative to the much-loved Expedit/Kallax. A gorgeous solid pine sideboard, in the same vein as the popular former Expedit and current Kallax shelves, just more beautiful. 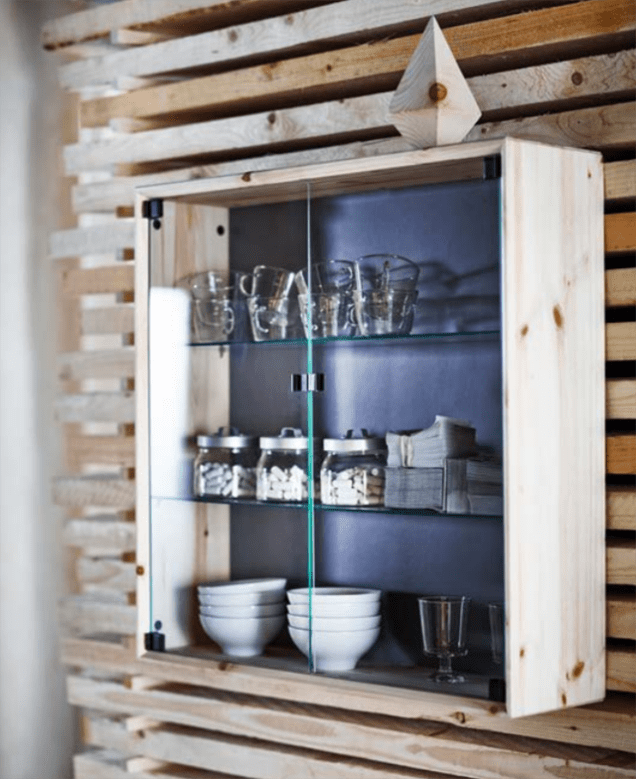 Store all your pretties in this new glass-door cabinet from Ikea. We can already see our coffee mug collection displayed beautifully in this simple piece. 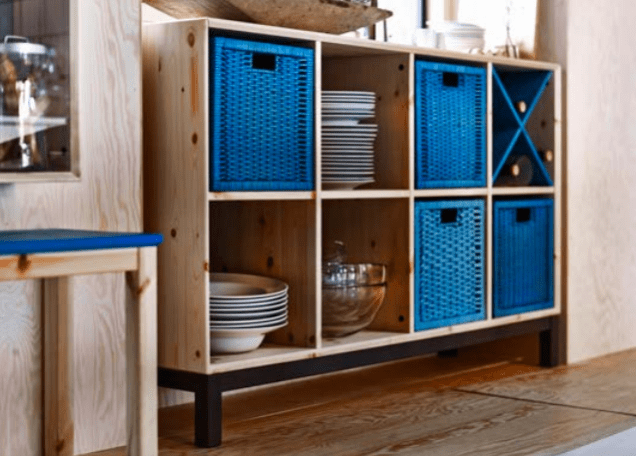 The SPRUTT collection boasts a variety of functional organizational pieces. Want to start the new year off with a little home organization? These drawers provide a perfect place for all those things in your home that never seem to have a home. 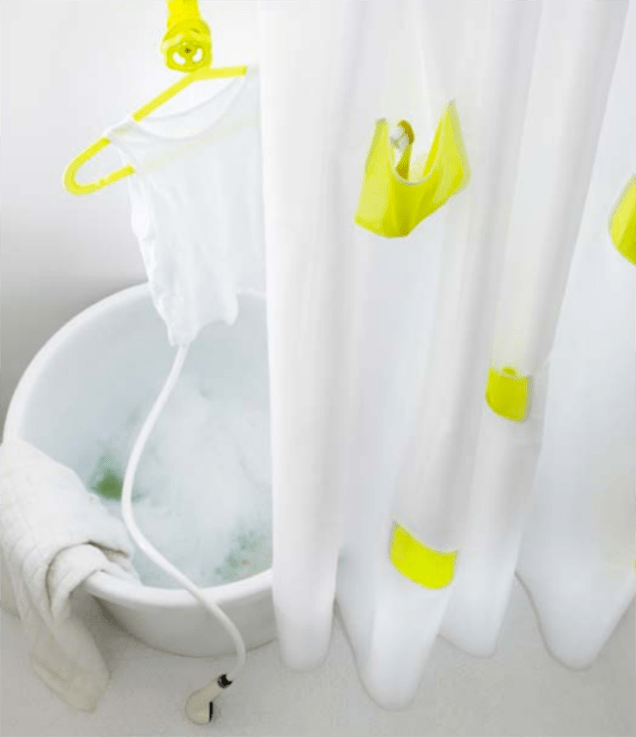 Genius storage idea: a shower curtain with cute little pockets. This shower curtain has pockets! Genius. 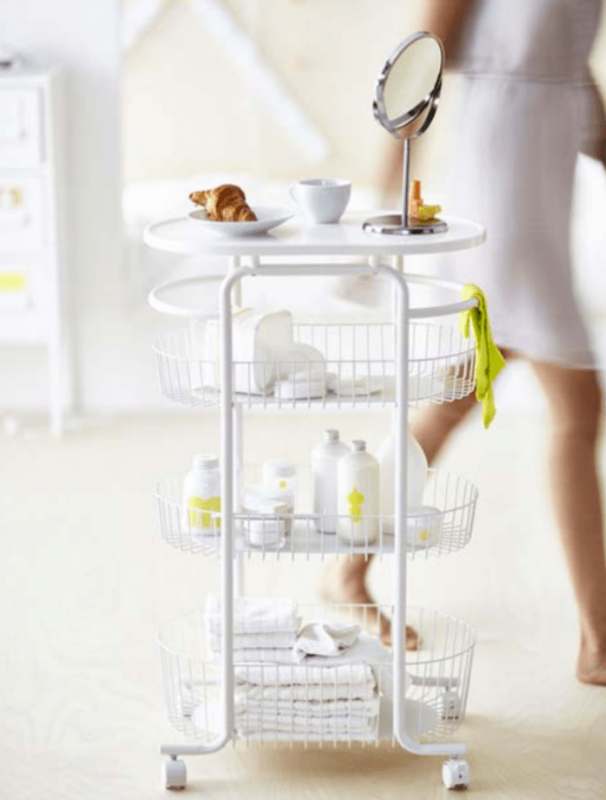 This cute cart on wheels provides yet more functional, attractive storage. 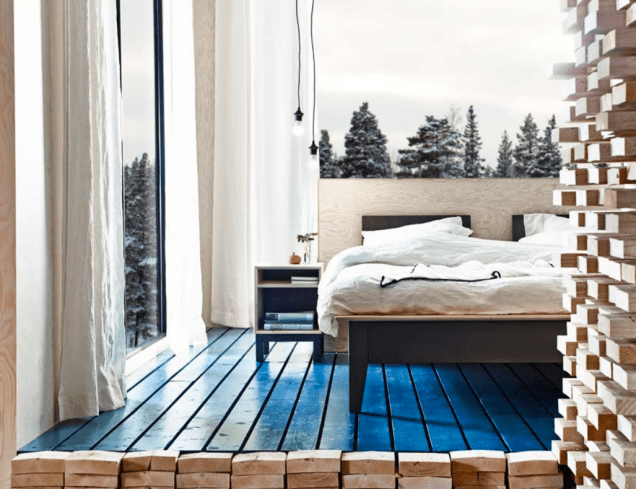 Ikea is also introducing a variety of other collections and products in addition to what’s above. Here’s a sneak peak of what else is to come. Low profile, Japanese influence — so much understated style. Yet another gorgeous bed frame. This one is a bit more luxurious than the ASKVOLL or NÖRNAS thanks to the fabric on the headboard. 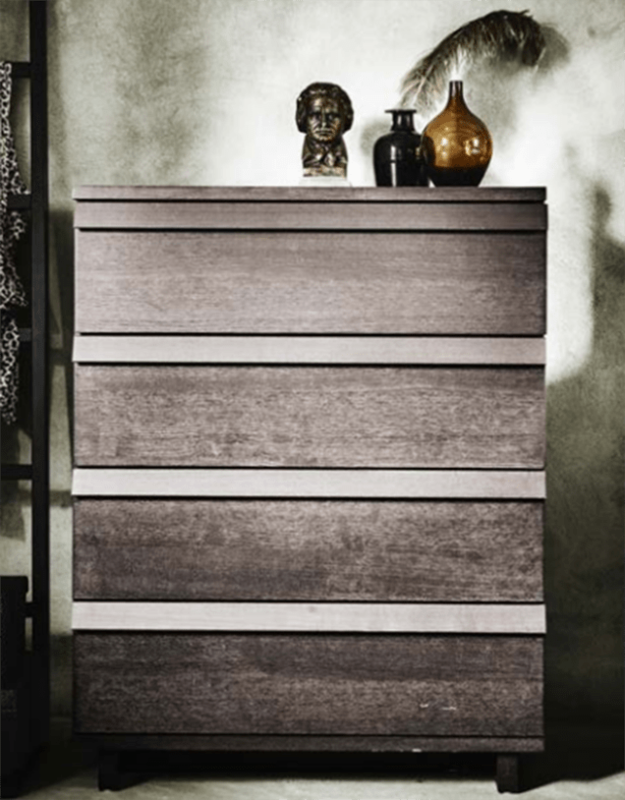 If you’d prefer to match your chest of drawers to your bedframe, this OPPLAND 4-drawer chest has tons of charm. 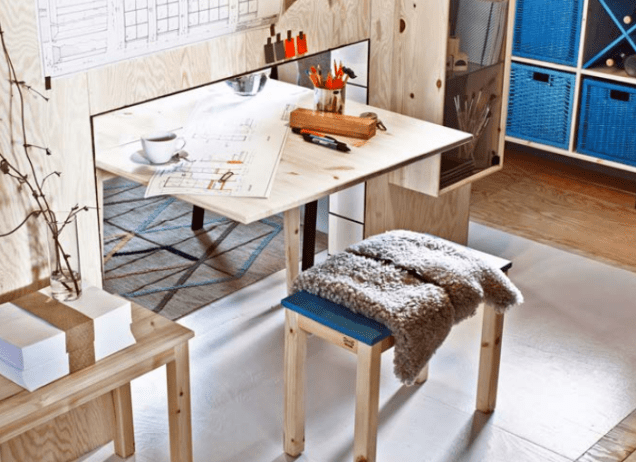 Finally, your tablet can have its very own piece of Swedish furniture. 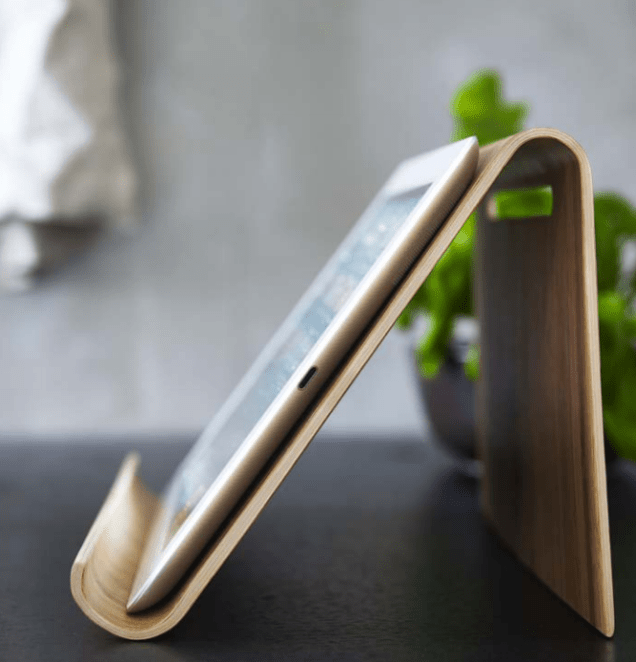 Rather than some unsightly tablet stand, you can get this curved beauty for only $16. 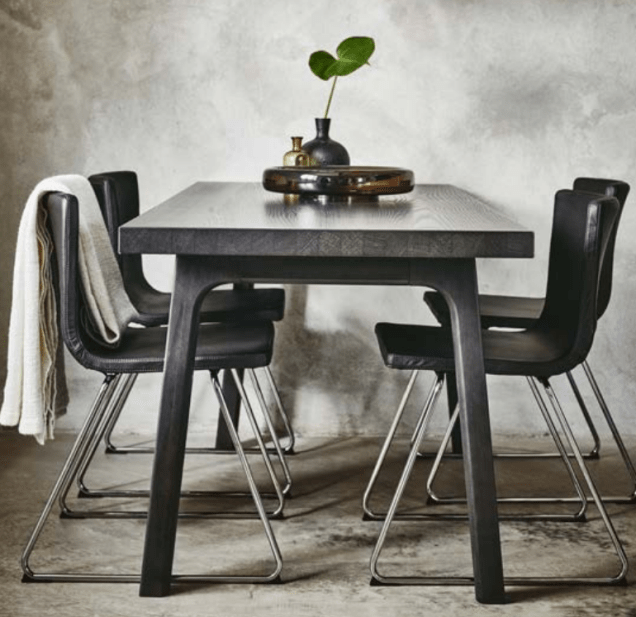 Slightly industrial and definitely modern, this red dining table is the coolest — especially with contrasting white chairs. If red isn’t your thing, perhaps the handsome lines of this dining table are up your alley. 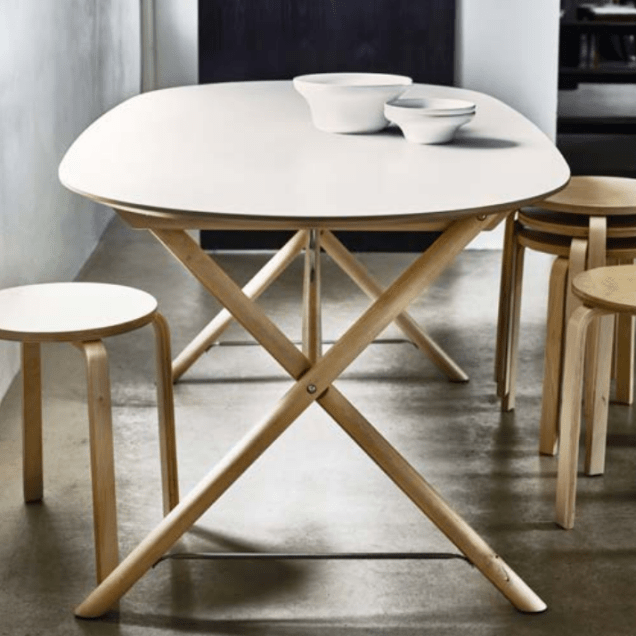 We love the curved lines of this table’s legs, which help soften the dark stain.